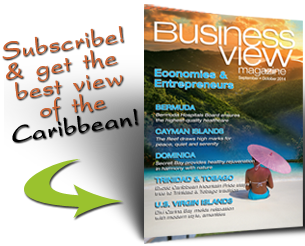 Grenada Ports Authority leader promises “there is surely much more to come”. 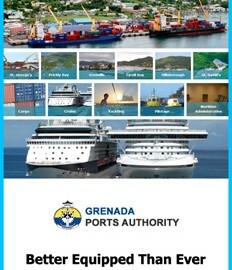 After 30 years of operation, the Grenada Ports Authority is hitting its stride. In fact, recent initiatives and investments by the authority have been designed to boost the country’s potential for cargo handling, the cruise sector and tourism, all of which bring direct benefits to the economy and people of the country. The authority is a statutory organization controlled by the minister of finance, who appoints its chairman and board of directors. It is principally responsible for the administration and operation of the Port of St. George’s and also has jurisdiction over Prickly Bay, St. David’s Harbour and Grenville on the main island of Grenada, as well Tyrrel Bay on the neighboring island of Carriacou. But while the governing body is just more than 30 years old, the timeline attached to its premier asset – the Port of St. George’s – stretches back for centuries. “Down the years, there has always been motivation for developing the port and attracting commercial ship calls – and that is still the case today,” said Ian Evans, the authority’s port manager. The island’s original colony, Port Louis, was created by French settlers in an area on the east side of what is now St. George’s Harbour. There were deep-water anchorages for oceangoing ships. Port Louis was abandoned in 1700 and Port Royal was established where St. George’s is today, but vessels continued to anchor in the eastern part of the harbor, near what is now the lagoon, until volcanic activity in 1867 transformed the deep water into a shallow area just a few feet deep. From then on, the development of port facilities was focused on the western harbor. The British seized control of the island in 1778 and settlers took advantage of the harbor’s potential as a naval base. They made petitions through 1889 to the British government to develop the inner harbor, but were repeatedly turned down by the admiralty. Attention then turned to winning commercial traffic, but, while a detailed survey was carried out in 1895, no further action was taken until St. George’s first jetty was constructed more than 40 years later. Cargo handling prior to that point had been carried out using lighters that were tediously loaded and discharged along the Carenage by three cranes. Operations were revolutionized in 1938 by the construction of an 850-foot wooden pier with 30 feet of depth alongside. Upon its completion, vessels could berth alongside the quay and discharge cargo directly into storage sheds because the pier was connected to the land by a rubber bank. The pier lasted just 16 years, though, until it was destroyed by Hurricane Janet, prompting the return of cumbersome lighters to the port until a new 800-foot quay – more durable than its predecessor – opened in 1958 with a connection to the land by more than three acres of hardstanding. The quay remains in use, although it now forms part of a much longer quay and container stacking area. A 12-foot channel was dredged into the lagoon in 1960, creating a haven for yachts and small craft. User demand prompted the authority to develop a port expansion project in 1996, a US$11.5 million undertaking that was completed in 2000 and involved land reclamation behind the existing pier and extension of the main quay farther into the lagoon. The port also established a welcome center at the northern end of the quay to ease passenger flow of passengers through the port while creating minimal interference with nearby cargo operations. The operation provided 1,100 feet (334 meters) of continuous berth, 270 feet (82 meters) of schooner berth, 36,000 square feet (3,344 square meters) of covered storage, 1.5 acres of open storage and five acres of container parking. It provided the capacity to handle cargo and cruise passengers in two distinct areas, along with ample cargo handling and container storage areas. And once it was completed, the port embarked on its most ambitious plan. Construction commenced in 2003 on the single biggest development in the port’s history, the Melville Street cruise ship complex that allowed cruise ship calls to be kept completely separate from cargo handling operations and enabled Grenada to become a leading Caribbean cruise port. The terminal comprises a 375-meter long jetty that’s capable of handling either four small cruise ships or two mega ships and one medium-sized ship, in addition to an extensive welcome center and duty free hall.